Contact Perlick today to learn more. perlick.com • 800.558.5592 Perlick's new Tobin Ellis Signature Cocktail Station is a breakthrough achievement in underbar design resulting from an ambitious collaboration between 6-time national bartending champion and celebrated bar designer, Tobin Ellis and the award-winning engineering team at Perlick. "Together, we've built a cocktail station that's perfect for everything from craft cocktail bars to high-volume nightclubs and 5-star/5-diamond hotel environments. 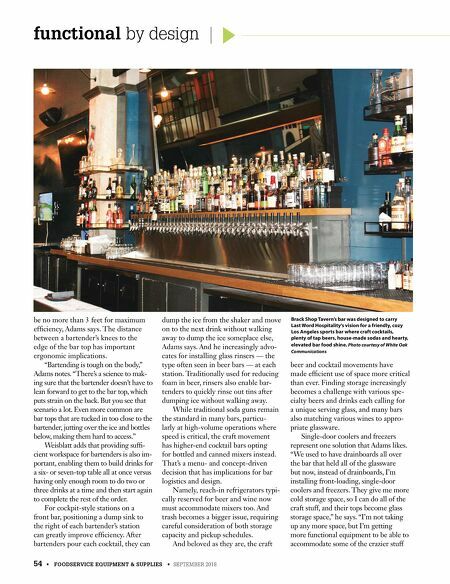 It's the tricked-out station every serious bartender has dreamt about and every savvy operator has hoped for." 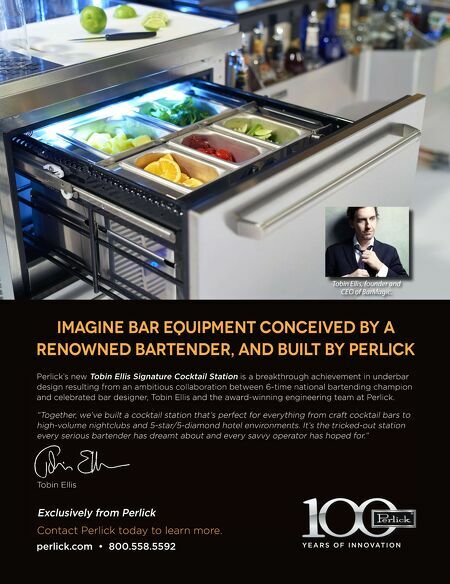 Tobin Ellis Imagine bar equipment conceived by a renowned bartender, and built by Perlick Exclusively from Perlick Tobin Ellis, founder and CEO of BarMagic.